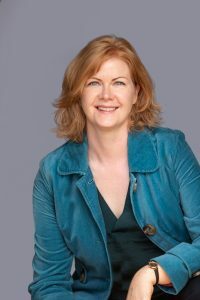 Robin Quinn is an author and radio producer based in South-East England. 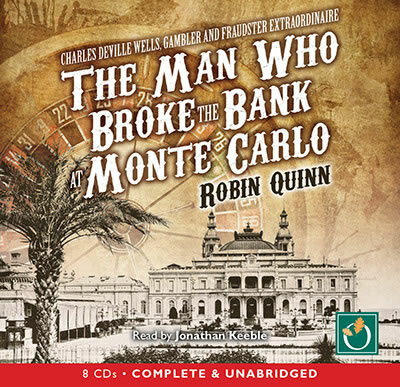 His new book, The Man Who Broke the Bank at Monte Carlo explores the life of Charles Deville Wells, fraudster and gambler, and spans the second half of the nineteenth century and the early twentieth century. 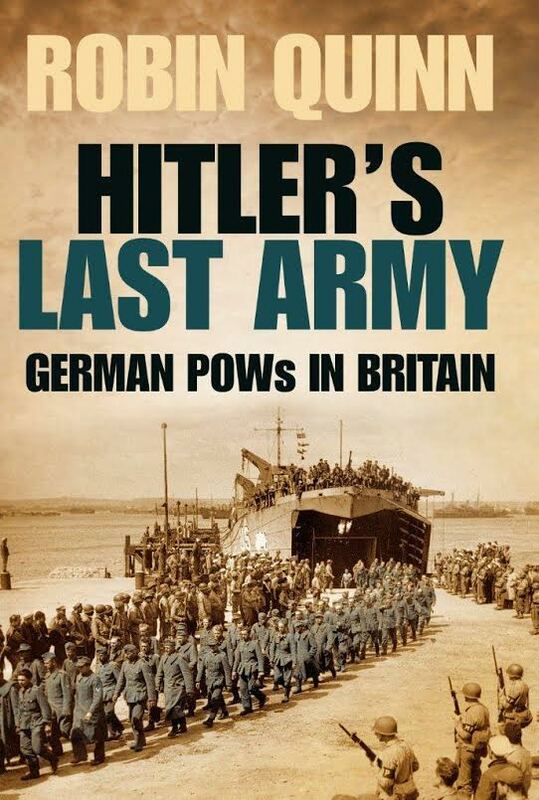 Published 2016 by The History Press Ltd.
His first book, Hitler's Last Army was released in January 2015 and has been well-received by readers and critics, with several five-star reviews on Amazon to date. In May 2015 The Independent newspaper invited him to contribute a three-page feature describing the experiences of German prisoners in Britain at the time of Germany’s defeat by the Allies. The article marked the 70th anniversary of VE-Day. As a modern languages graduate, Robin says that his knowledge of French and German unlocked sources of information for both of his books that otherwise he might not have been able to use. As a broadcaster, he has produced more than sixty programmes for the BBC, covering subjects as diverse as the rock group Queen, the history of blue jeans, and the nostalgic era of the coffee-bar. Programmes with a more general historical theme include the critically-acclaimed Summer of 1940 and The Cuban Missile Crisis. 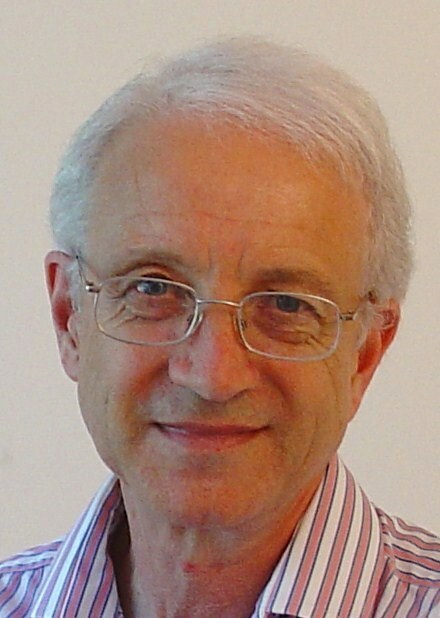 Robin has also written material on family history and other topics for magazines in the UK. The incredible true story of Charles Deville Wells, gambler and fraudster extraordinaire. Charles Wells has two loves in his life: a beautiful, headstrong, French mistress, Jeannette, and his sumptuous yacht, the Palais Royal. At the risk of losing them both, Wells stakes everything he owns at the roulette tables in Monte Carlo’s world-famous Casino – and in the space of a few days he breaks the bank, not once but ten times, winning the equivalent of millions in today’s money. Is he phenomenally lucky? Has he really invented an “infallible” gambling system, as he claims? Or is he just an exceptionally clever fraudster? 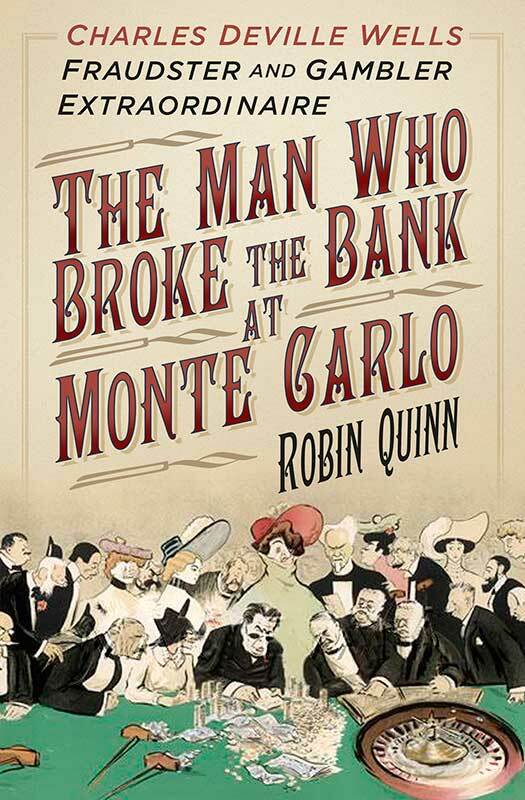 Based on painstaking research on both sides of the Channel and beyond, this biography reveals the incredible true story of the man who broke the bank at Monte Carlo – an individual who went on to become Europe’s most wanted criminal, hunted by British and French police, and known in the press as “Monte Carlo Wells – the man with 36 aliases”. After the Second World War 400,000 German servicemen were imprisoned on British soil – some remaining until 1948. These defeated men in their tattered uniforms were, in every sense, Hitler's Last Army. “Well written, interesting, informative, and heart-warming in equal measure … I would recommend this even to those not especially interested in WW2, as a fascinating slice of Anglo-German social history of 70 years ago. Buy it." The incredible true story of Charles Deville Wells, gambler and fraudster extraordinaire. Charles Wells has two loves in his life: a beautiful French mistress, Jeannette, and his sumptuous yacht, the Palais Royal. At the risk of losing them both, Wells stakes everything he owns at the roulette tables in Monte Carlo’s world-famous Casino – and in the space of a few days he breaks the bank, not once but ten times, winning the equivalent of millions in today’s money. Pre-order now: Amazon, Waterstones, WHSmiths, iTunes. Read excerpts on Google Books. ‘I can’t rate this book highly enough. Not what I expected, very quick moving and so full of wonderful details. You get close to the exceptional Charles Wells and the last chapters are revealing as so much is explained. I am staggered at the sheer amount of research that must have gone into this wonderful story. Thank you Robin! Note, the audible version is read by Jonathon Keeble who is absolutely excellent with this book. I normally read historical fiction, but this book was as good as any’. In a recent blog post here I discussed some of the accomplices who helped Charles Wells in his bank-breaking and other activities. One of these was named by him as Lizzie Ritchie. When he was held in jail for fraud her name appears on a grovelling letter to Queen Victoria, begging for his release. She is listed as his co-applicant on an 1887 patent for a musical skipping rope. He also named her as his backer of his gambling at Monte Carlo (though he changed his story on this point several times). Although I was rather doubtful whether she really existed, I noted that in New York State, USA, a Lizzie Ritchie had applied a few years later for a patent on a new type of washboard she had invented. On trying to follow up this lead previously, I could not be sure whether this was the same Lizzie Ritchie, and could not locate her in census records. 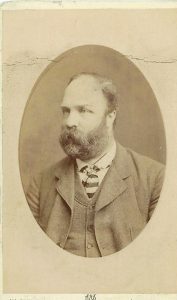 Recently I looked once again at the sparse evidence that I had, and noticed the name of Jacob Ritchie, who had signed as a witness to the US patent application. I guessed that Jacob must be a relative – a husband, perhaps, or a brother. This narrowed things down considerably, and I was finally able to locate the couple in the United States 1900 census. (I had not traced them before because their surname was spelt “Richie” on the census return). So was this the Lizzie Ritchie who allegedly helped Charles Wells? It now seems unlikely. The woman living in the USA in 1900 was born in Ireland in 1868 and had emigrated to America in 1886. She had married her spouse in 1889. On this evidence it seems most unlikely that she would have returned to Europe on several occasions over the years in order to assist Charles Wells. Lizzie, it seems, was a laundress, and her husband, Jacob, was a “general mechanic”. This sounds like an ideal combination for inventing a new-fangled washboard; but there is no evidence that either of them ever registered any other US patents. Based on this new evidence, the Lizzie Ritchie mentioned by Charles Wells was probably a product of his imagination; the woman in the United States was almost certainly not connected with him. I’ve just been reading about the British K-class submarines, which were introduced in 1917 and served until 1931. The K-class submarines were steam-powered, a fact which might have sounded warning bells from the very start. And things got worse, not better, as the vessels were launched and went into service. K13 sank during trials. K1 collided with K4 off Denmark and was deliberately scuttled to avoid capture. One day in January 1918, K17 collided with a cruiser. Then K4 was struck by K6 and was subsequently hit by K7; the sub sank with all crew on board. At the same time K22 (which was in fact the salvaged and recommissioned K13) collided with K14. Thus, within the space of just an hour and a quarter, two of the class had sunk and three others were severely damaged. During a mock battle in the Bay of Biscay K5 disappeared and was never found. K15 sank at her moorings in Portsmouth. K4 ran aground in 1917 and remained stranded for some time. Only one submarine of this class ever engaged an enemy vessel: its torpedo hit a German U-boat, but failed to explode. K18, 19 and 20 were re-designated as the M-class. The subs still to be built were all cancelled.